Looking for a great deal on a legit American-built acoustic guitar? 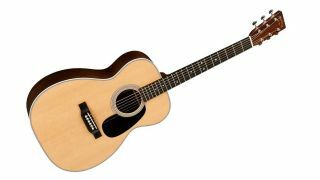 Look no further, as the Martin 00-28 Grand Concert acoustic is now available with huge discounts. Musician’s Friend is living up to its moniker with an almighty $859 off the Standard Series 00-28, reducing it down to $1,999 from $2,859. Martin’s 00-28 Grand Concert shape is designed to provide a balanced sound, and features top-quality tonewoods throughout, including a Sitka spruce top, East Indian rosewood back and sides and ebony fingerboard. This is one of the biggest single discounts we’ve spotted so far this Black Friday season, and it’s worth noting that MF has a fair few other Martin discounts available, too - although none of them quite live up to this barnstormer.